The Chamber Music Workshop in Monterey targets intermediate and advanced players in junior high, high school, and other advanced instrumentalists preparing for public performance or the college application process. Students can receive preparation to audition and perform in college level ensembles and orchestras, including community colleges, Monterey Peninsula College, Hartnell, and Cabrillo Colleges. The program is intensive, and will require daily practice, rehearsal, and coaching. Students will develop a higher level of critical listening and practice to achieve a higher standard of performance. The demands on the individual instrumentalist are high. More importantly, all students will experience an intensive week of practice and rehearsal with an ensemble to learn communication and interaction skills in a string quartet. Finally, all students will experience the joy of sharing music, working together as a team, and will discover a greater self-confidence in performance. Students will gain a heightened awareness about public performance and the audition process. To prepare for the demands of the program, immediately upon acceptance to the program students will be given specific music assignments. In the case of high school students, participation in the program strengthens a college application. The program encourages and also prepares non-music major students for orchestra or ensemble auditions, including students who have previously studied or interrupted study for financial or personal reasons. Our renowned faculty guides serious young string and piano students through an intensive two-week course, developing ensemble playing skills through the performance and study of the world’s greatest chamber music masterworks. The workshop features daily group coaching, string chamber orchestra, independent group rehearsal time, and rotating electives including master classes, alternative style and improvisation workshops, open faculty rehearsals, instrument technique classes, music history, and sight reading. Acceptance and group placement is based on audition and/or teacher recommendation; pre-formed groups welcome. The USF School of Music invites the Baumer SQ as featured artists for the 2012 Joan and Daniel Rutenberg Chamber Music Festival. The Baumer SQ perform a recital including works by Haydn, Gershwin, Brahms, and a premiere from composer Charles Krenner. 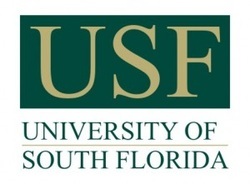 The Baumer SQ will host chamber music masterclasses for undergraduate and graduate students at the USF School of Music. Additionally, the festival will feature the Baumer SQ in open rehearsals, Q &A sessions, and public violin and cello masterclasses. The festival concludes with a chamber music celebration featuring collaborative performances featuring the Baumer SQ, USF Resident Artists, and USF chamber music students.